You can set Parallels virtual machine to occupy the entire Mac screen, one of your external screens or all connected external displays. 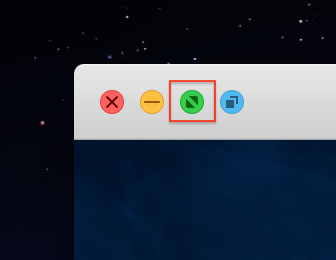 From Coherence mode, click the Parallels icon || in the menu bar, then choose Exit Coherence. Then click the View menu and select Enter Full Screen. From Window mode, choose View > Enter Full Screen or click the Full Screen icon in the top right corner of the virtual machine window. When in Full Screen mode, macOS menu bar and the Dock are hidden. To invoke macOS menu bar, simply move your mouse cursor to the upper edge of the screen, the menu bar will appear in a second. Note: the same action works with Dock when moving the mouse to the screen bottom. Move the pointer to the top of the screen until the macOS menu bar appears and click View > Exit Full Screen. Swipe your Trackpad left or right with three fingers. Swipe your Magic Mouse left or right with two fingers. Use Ctrl+arrow (left or right) keyboard combination. Move the virtual machine window to corresponding monitor and enter full screen. This setup is very convenient when you want to dedicate one display to your virtual machine but leave the others for macOS. 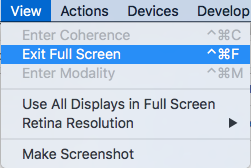 There is two different ways to use your virtual machine on all monitors, but for both scenarios your need to open View menu of the virtual machine > enable 'Use All Displays in Full Screen' feature. After that simply enter Full Screen view mode and the virtual machine will extend to all displays. 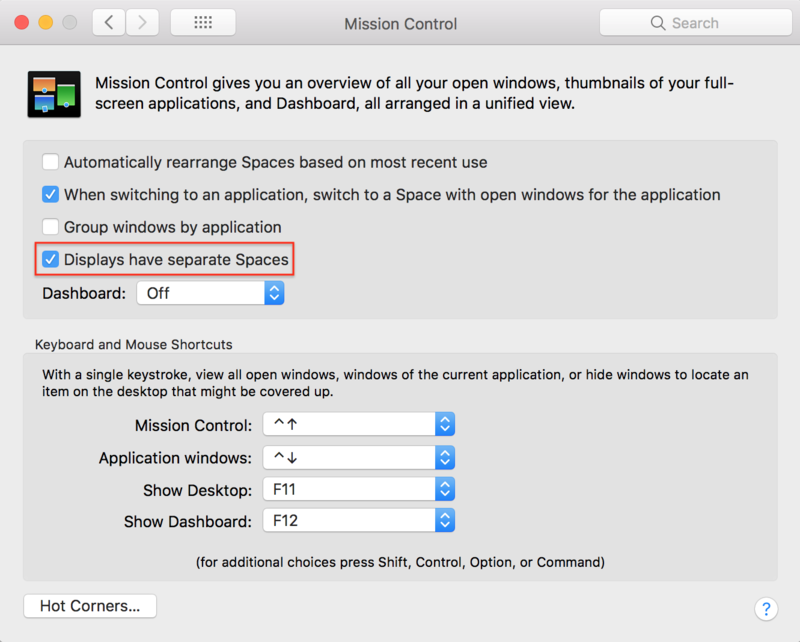 If macOS feature 'Displays have separate spaces' is enabled, you will switch between Mac and virtual machine spaces on every display independently. Note: this feature is supported in Parallels Desktop 14 for Mac.